Hi dolls, hope you are all having a wonderful day! Today, I have another makeup tutorial. I was inspired by Maya mia on YouTube to create this Arabic makeup look. It is a lot easier than it looks like, let’s get started! 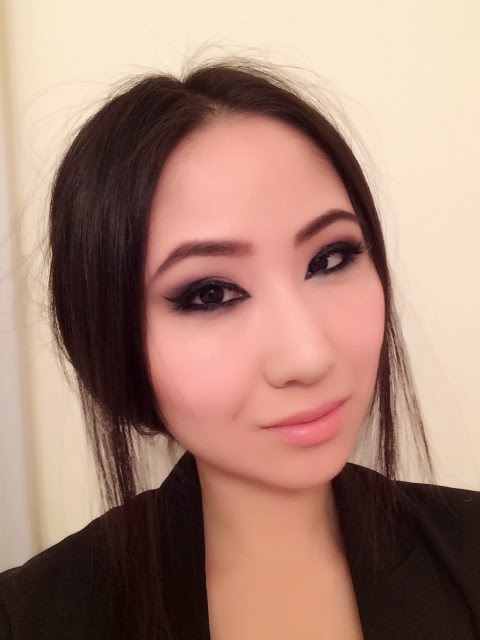 I’ve already done my base makeup as well as my base. I used Makeup Forever HD foundation, OCC concealer and a brow eye shadow to fill in my eyebrows. Step 1: Prime your eyelids with a shadow primer to prevent the shadow from creasing. I used Urban Decay shadow primer potion in Eden. Step 2: For any kind of smokey look, I always like to apply a medium brown shadow in my crease. I used Urban Decay naked from the original naked palette. Step 4: Using a small pencil brush again, apply black eye shadow carefully on top of the purple and smoke it out. Depending on the shape of your eyes, blend it out in the way that complements your eye shapes the best. I also applied this closer to my lower lashline. Here, I used panther by Wet n Wild. Step 5: Apply eyeliner on top of your lash line. 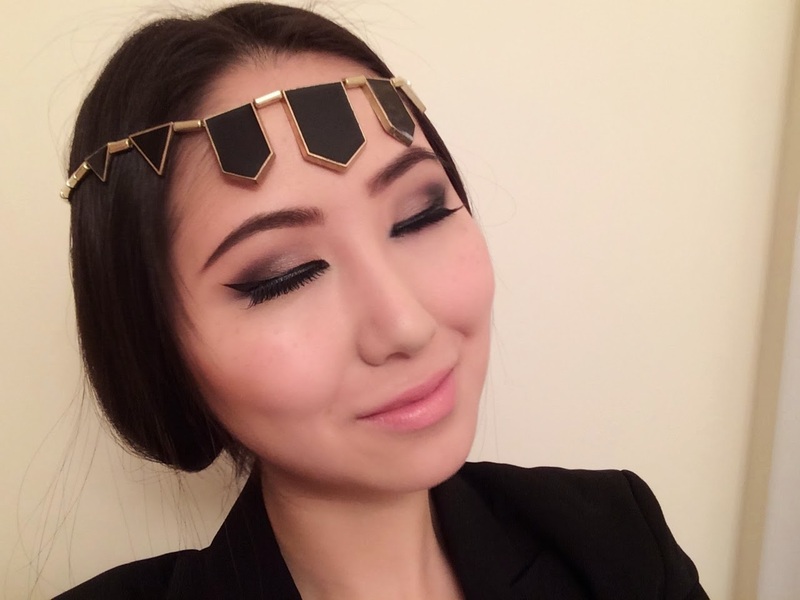 I applied it in a cat-eye shape and here I used the liquid liner by Physician’s Formula. Also, I applied black pencil liner in my waterline. The most important thing about this step is to apply eyeliner in your inner eye corner in a triangle shape. Step 6: Apply a gold eyeshadow on your inner third of the eyelids. I used sidecar from the original naked palette. Apply mascara and false lashes. And voila, you’re done! I hope you enjoy this tutorial and if you ever try this look out, tweet me at @yolennie1 or hashtag #lavenderfedora on Instagram. Have a lovely day! Oh my goodness, I'd just like to say first off that your foundation is flawless, Jesus. 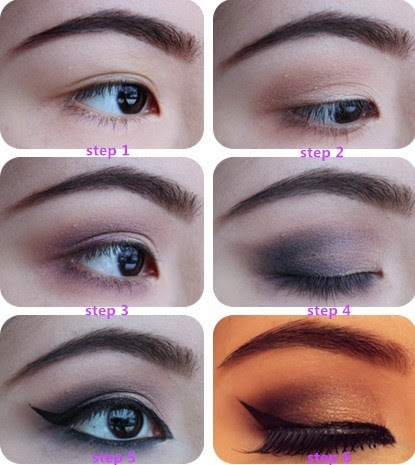 I really love this tutorial and your makeup in general. I've just recently entered the land of makeup and I'm very excited to get as good as you are. Anyway, is there some way I could follow you ? I don't see a 'Join this site' button (I've actually been struggling to get that on my blog as well to be honest). wow, looks amazing! youve done it so precise! You eye make up is gorgeous!!! Love this look.